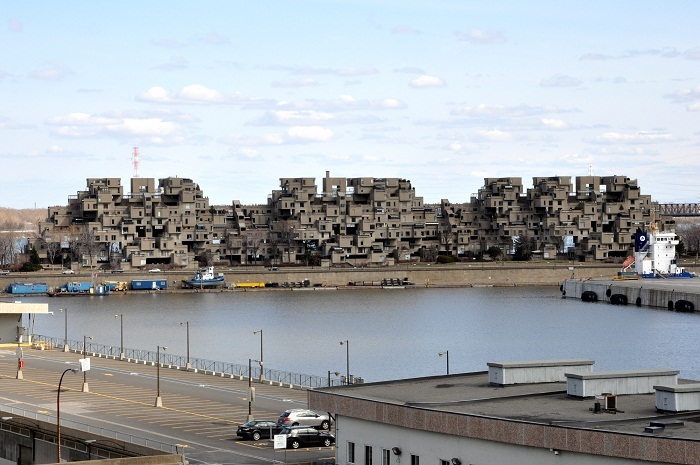 Habitat 67, or simply Habitat is a model community and housing complex built as an experimental solution for high-quality housing in dense urban environments, located in Montreal, Canada. 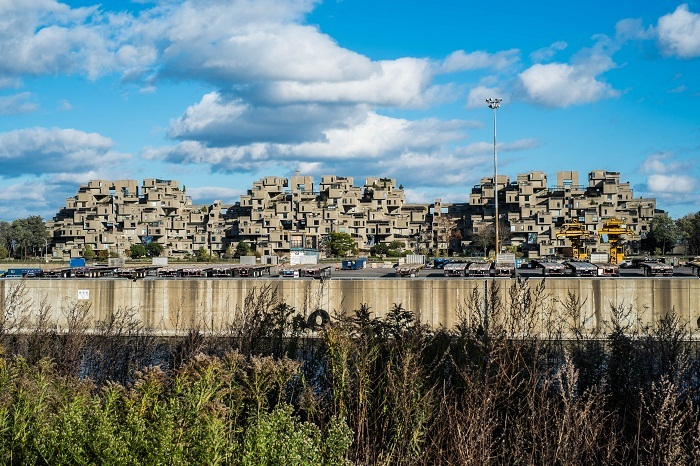 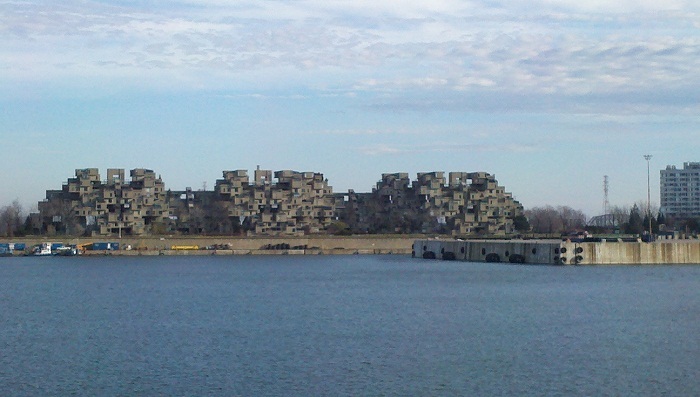 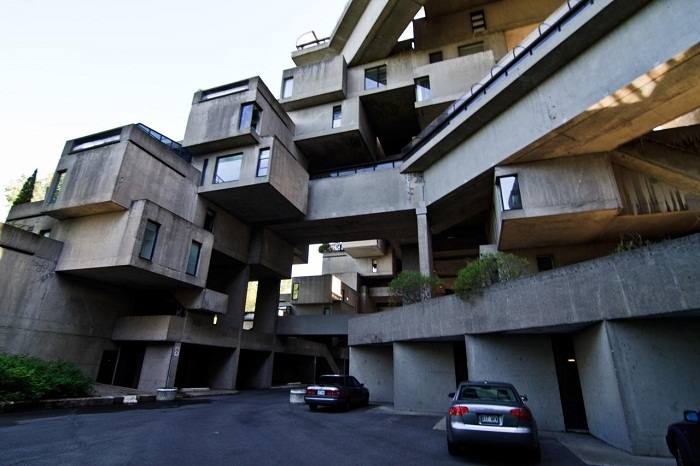 Designed by the Israeli-Canadian architect Moshe Safdie, Habitat 67 has the stature of a historical landmark which is extravagant by its minimalism, its modernity and overall aesthetics. 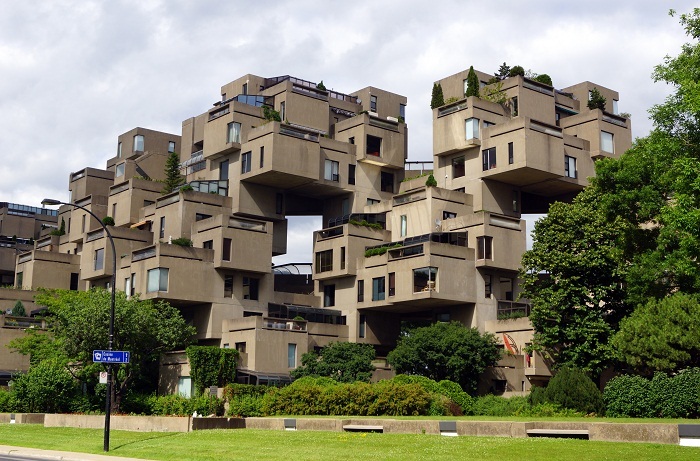 As it is a dominant element in the Montreal landscape, it comprises of 354 identical, prefabricated concrete forms arranged in various combinations, reaching up to 12 stories. 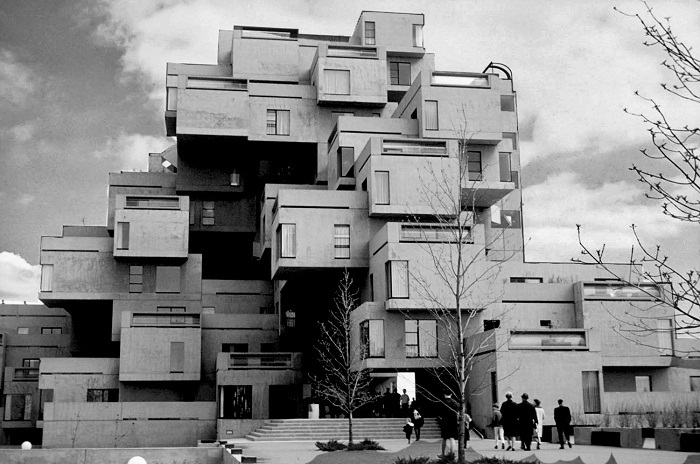 Together all of them create 146 residences of varying sizes and configurations, each formed from one to eight linked concrete units. 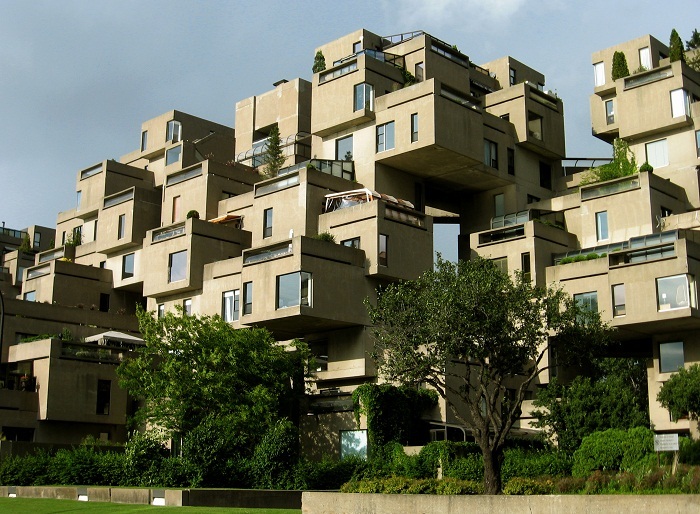 Each apartment is reached through a series of pedestrian streets and bridges, along with three vertical cores of elevators for the top floors. 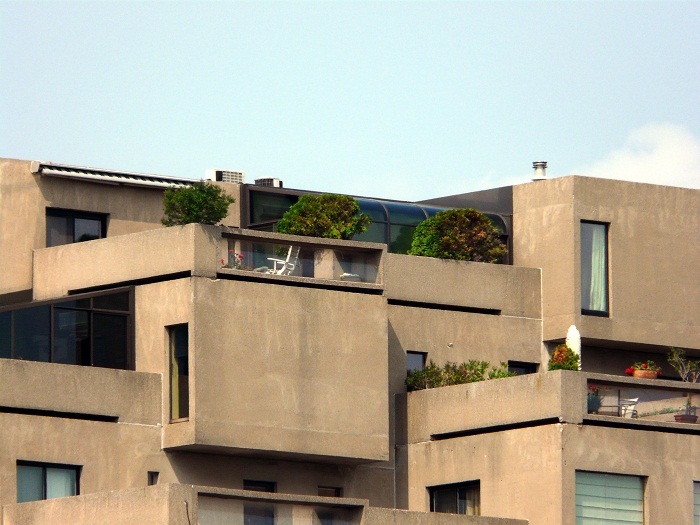 Because it was supposed to integrate the benefits of suburban homes, namely gardens, fresh air, privacy, and multi leveled environments, with the economics and density of a modern urban apartment building, Safdie’s imagination was that people would live in increasingly crowded cities around the world, and this would be the prime example how everything should be organized. 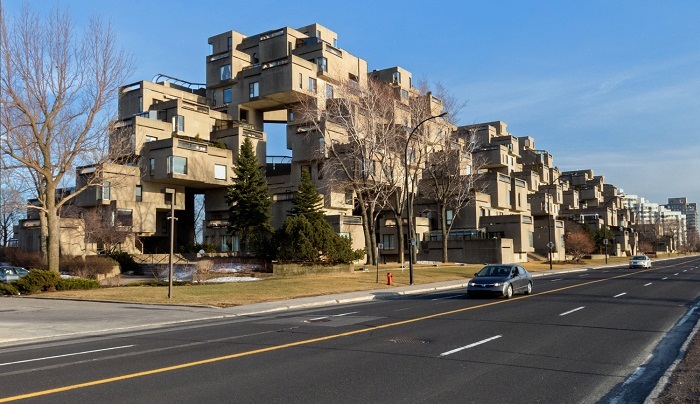 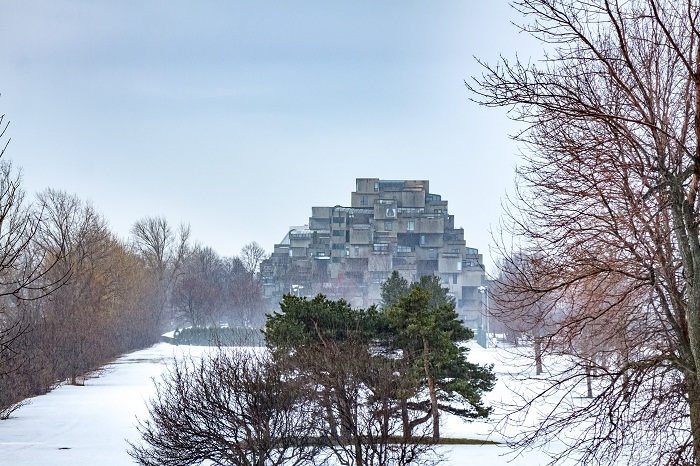 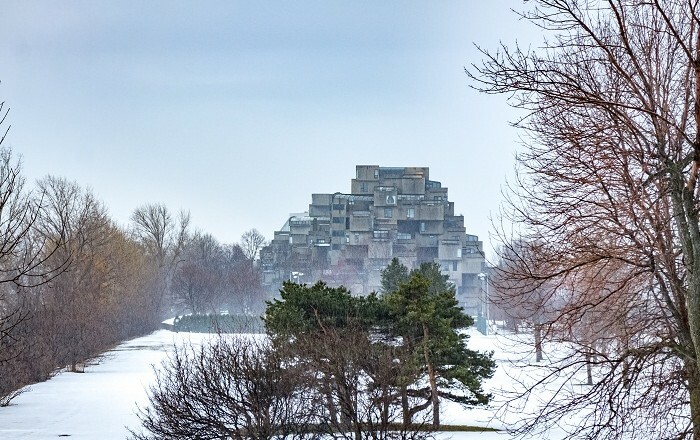 To this day, even though according to some people, the project has failed to prove its meaning, continues to be one of the major symbols, not of Montreal, but also it served as an inspiration for the design of other similar buildings around the world.